Shell Marine today announced that it has updated its Shell Marine App to include mobile reporting of customers’ Shell Rapid Lube Analyst reports. This adds to other features such as mobile tracking of orders, interactive vessel guides to Shell Marine’s lubricants offer, and an easy way to contact Shell Marine’s International Customer Service Centre available globally 24/7. The app is available in 40 markets in Australia, Americas, Asia, Europe and the Middle East on both iOS and Android mobile platforms. In addition, Shell Marine has also added new locations to its global port network, provide its customers more options on where they can get their Shell marine lubricants, including in Australia, China, Europe, Philippines and Saudi Arabia. In Australia, Shell Marine is working with Viva Energy Australia, Shell’s macrodistributor to add 16 ports across all six Australian states. Shell is entering the Saudi Arabian market in five key ports: Dammam, Jeddah, Jubail, Tanajib and Yanbu. 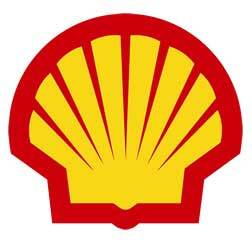 Shell is also adding additional ports in France, Italy and the Netherlands. In China, Shell Marine has added 51 ports, including 16 shipyards to its current network of 33 ports in the country. These new ports include locations like Baoshan port in Shanghai, Dongguan, Fuzhou, Shenzhen, Wenzhou, Zhanjiang and Zhangzhou. With these new ports, Shell’s port network expands to over 700 ports in 58 countries. “We are pleased to enhance our ability to streamline our customers’ operations with our latest update on the Shell Marine app, as we continue to supply our customers with our high quality products and technical services into more ports,” said Marcus Schaerer, Shell Marine’s Global Marketing Manager.